This part in itself is worth putting up in some highly visible place. Real craftsmen are an endangered species these days! Well that was a read and a half, and very sobering! What a carry on DarrenGlen! He sent me in-progress photos, even letting me choose which grain I preferred from photos of several blanks he'd cut, and the only delay was with delivery, which was largely out of his hands. Thanks for your comments Martin! 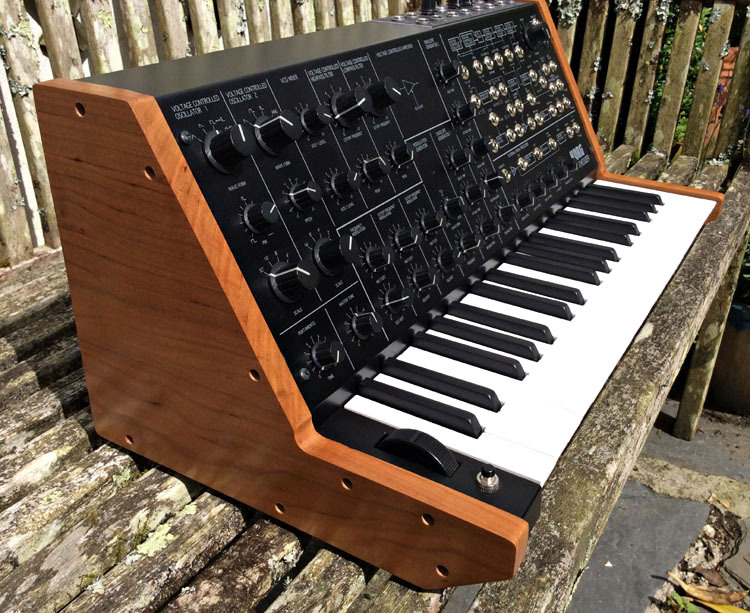 Your MS20 looks like a beauty with those wooden cheeks. Amazing the difference it makes eh. Good craftsmanship is indeed hard to come by these days. Does he also work with Aluminium? And a real labour of love... I binge read the whole thing up to date yesterday evening. I take my hat off to you for your attention to detail and I'm looking forward to seeing future progress. Debut Album 'Fantasy Bridge' available now! DarrenGlen wrote: Thanks for your comments Martin! Your MS20 looks like a beauty with those wooden cheeks. Amazing the difference it makes eh. Good craftsmanship is indeed hard to come by these days. As far as I know, Matthew only works with a wide range of woods - I've never seen him display any aluminium creations. Not surprising. Its a whole different set of tools. Computer controlled Laser cutters are not something that most ppl have kicking around in the spare room. Working with wood is much easier to do (and make look good) in your own rear workshop it seems. MarkOne wrote: What a brilliant blog! That’s the thing I admire most - your pursuit of perfection rather than a short term “bodge” to let you play it. I’m sure I’d want to play it so much I’d have mangled it good and proper !! Looking forward to you playing it - please do a video of the big switch on. IAA wrote: Looking forward to you playing it - please do a video of the big switch on. Short of the one in the Roland museum, it's probably going to be one of the best condition JP8's on the planet...! Thanks guys. Yep no compromise on this one I decided that from the start. Part of my deal with the wife was also that I could essentially “pay as I go” with this one because of the cheaper price I paid, I’m fairly confident I could buy a mint cond Jupiter 8 for the price it will end up costing me all in the end. But I don’t have that kind of money in a heap. So I’m funding it as I’m going, which is making it at all possible. And knowing that it’s all being done properly as well. I have also refused to keep any kind of running tally of the costs as I’m going hehe it would probably scare me or cause me to compromise on some aspect (which I won’t) and cause the wife to tell me to stop! I’ve just put up a new post explaining the powder coat disaster of the last few weeks. Ow! That must have really hurt. So sorry for you. DarrenGlen wrote: I’ve just put up a new post explaining the powder coat disaster of the last few weeks. Yes and no Martin. I had been required to prepay $60 for the small job, originally requested beforehand. But at pickup he told me that there had been “$300 worth of work done on it, sandblasting costs $150 for starters...” and to talk about it with the woman in the front office. Kinda suggesting that there would be some deal done? I opened the door to the front office and said “tell him I won’t be paying a cent for something I didn’t ask to be done. He can call me if he has a problem with it.” Never got any call and I highly doubt he will try. Ouch! When you're on a labour of love like this it's a real blow to have something like this happen. I must say I really think the T-shirts and mug are really cool! Assuming you have a cellphone, were you aware that you can have custom cellphone cases made up? A Jupiter case would be pretty cool too. delighted to see this moving forward again. Well done Darren. Looking forward to seeing the decal printing process. Really, really pleased to see this. I was quite angry when I read what had been done by the numpties previously. +1 This is a 'do the right thing' story and it is fascinating to watch it unfold. I am crossing my fingers for him.